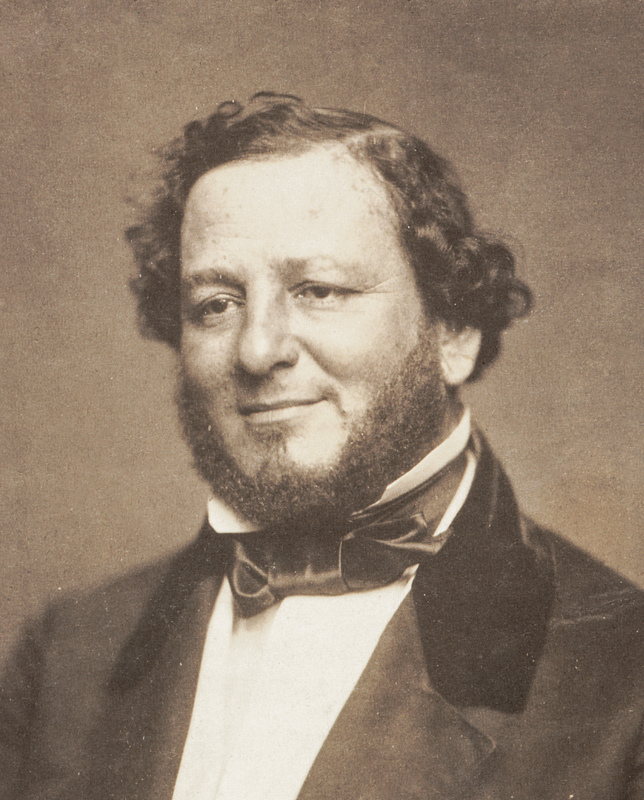 With all of the news of late about the white nationalists in Charlottesville and Confederate statues I though it appropriate to remind others of the life of Judah P. Benjamin (1811-1884). I have been interested in him since I was an undergraduate history student; in the fall of 1974 I was an intern at the Historical New Orleans Collection in the French Quarter of New Orleans. They had a small collection of Judah Benjamin materials and I was asked to work on its processing. While doing this work I grew interested in his life and career. Here are a few facts that I learned about him. Born on the island of St. Croix, British West Indies, on August 6, 1811, Benjamin came to the United States as a young child. He grew up in the American southeast, and was educated broadly, especially at Yale University. As a Sephardic Jew he faced religious bigotry so much a part of American society, both then and now. As a slaveholder, Benjamin accepted the racist status quo in the American South. During the course of his life Benjamin had three successful careers in various governments. First, he became one of the most successful lawyers in the United States, operating in the antebellum era out of New Orleans. Second, was an outstanding politician before and during the Civil War. There he became a wealthy slaveowner and served in both houses of the Louisiana legislature prior to his election to the Senate in 1852. Always, he was an eloquent defender of the institution of slavery, making at one point or another its defense on practical, ethnic, and religious grounds. Third, he served a Senator from Louisiana between 1853 and 1861, and when his state seceded in 1861 he resigned his seat and embraced the Confederate States of America as a legitimate entity. In so doing he committed treason against the United States of America. Sometimes referred to as the “Brains of the Confederacy” Benjamin served successively as the Attorney General, Secretary of War, and Secretary of State for the Confederacy. In all positions he was remarkably effective. Some have thought his capabilities in support of the Confederacy helped to extend the war by at least a year beyond what would have normally been the case otherwise. 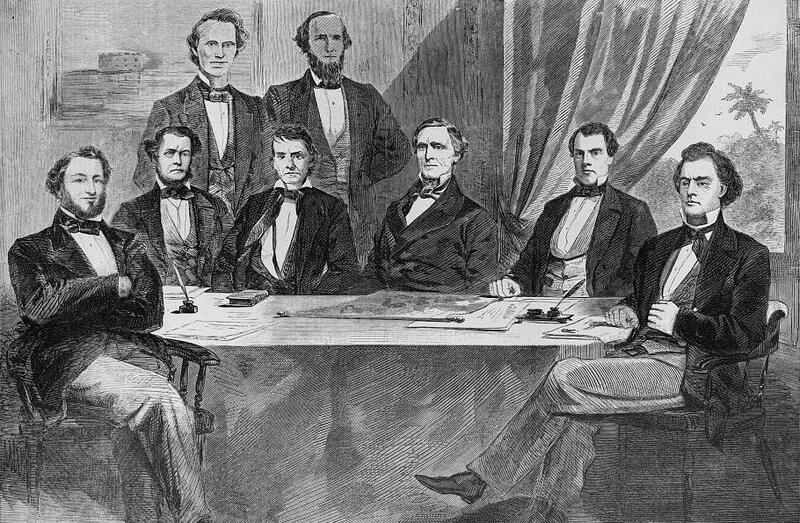 The original Confederate Cabinet, 1861. L-R: Judah P. Benjamin, Stephen Mallory, Christopher Memminger, Alexander Stephens, LeRoy Pope Walker, Jefferson Davis, John H. Reagan and Robert Toombs. Unable to accept defeat in 1865, after the war Benjamin went to England, living in Europe as an ex-patriot the remainder of his life. He began a new career as a barrister in London, where he was also exceptionally successful. Benjamin retired to Paris in 1883, where his wife had lived apart from him for many years, and died there on May 6, 1884. Not your average Confederate, no doubt, but one that embraced a lifestyle of leisure built on the backs of slaves despite his Jewish heritage and practice of his religion his entire life, which itself placed him in second-class status in America. One might think he would have seen the disjunctiveness of these two positions, but apparently he never did. The lack of sympathy of one persecuted minority for another persecuted minority is appalling. Of course, so was the whole institution of slavery and all it wrought. 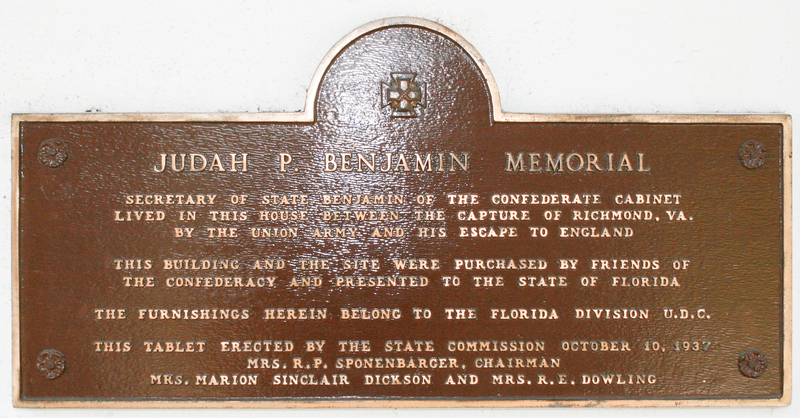 The only monument to Judah P. Benjamin, a memorial plaque at the Gamble Plantation Historic State Park, Ellenton, Florida. There is one classic biography of Judah P. Benjamin is you are interested in learning more: Robert D. Meade, Judah P. Benjamin: Confederate Statesman (Oxford University Press, 1943). Other biographies have been written since then, see especially Eli Evans, Judah P. Benjamin: The Jewish Confederate (Free Press, 1987). Awarded since 2011, the Prize is designed to encourage research and writing by university students in the area of space history. Awardees will be published in Quest: The Quarterly of Space History. Students must be enrolled at educational institutions (undergraduate or graduate) at the time of submittal and working toward a degree. Papers already published or scheduled for publication in another journal will NOT be accepted. Manuscripts should not exceed 10,000 words and should be typed and in English. Submissions should emphasize in-depth research, with adequate citations of the sources utilized. Originality of ideas is important. Diagrams, graphs, images,and/or photographs may be included. Although works must be historical in character, they can draw on disciplines other than history, eg. cultural studies, literature, communications, economics, engineering, science, etc. 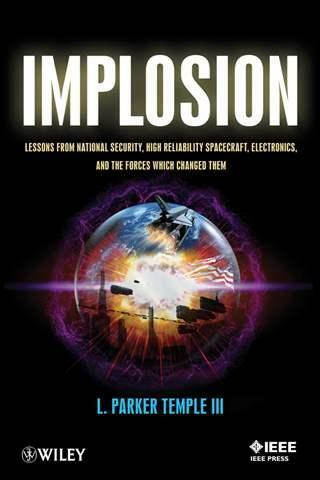 Possible subjects include, but are not limited to, comparative or international studies of the history of spaceflight, historical aspects of space companies and their leaders; regulation of the space business; financial and economic aspects of the space industry; the social effects of spaceflight; space technology development; the space environment; and space systems design, engineering, and safety. Electronic and importable into Word / PDF. The Crusades. By Hans Eberhard Mayer. New York: Oxford University Press, 1965, 2nd edition, 1998. My interest in the Crusades goes back decades, and I have read several books on the subject. Although dated, this one is a strong overview of the subject, and makes a fine introduction to the subject. Hans Eberhard Mayer was professor of Medieval and Modern History at the University of Kiel at the time of writing. He had a broad knowledge of this subject. He narrates the story clearly, even though the translation des lead to long sentence and paragraph constructions endemic to German scholarly writing. Many readers of the English version will find themselves lost part of the time. Pay attention, he has much to say and he will eventually get around to saying it. The books begins with the official declaration of Pope Urban II in 1096 for the departure of Christians from Europe to “free” Jerusalem and Palestine from Muslim rule. Mayer notes that participation satisfied a range of feudal obligations and many a knight responded as much for economic and political gain as for religious virtue. There had, of course, been earlier calls for action against Islamists, but this one was different. It had strong support from various kingdoms and rulers who saw an opportunity to burnish reputations and eternal glory as well divert internal tensions to an outside enemy. It had a capable “sales force” that journeyed around Europe drumming up support. It also had support from Byzantium, whose emperor realized that this help would be needed to maintain his empire’s hegemony in Eastern Europe. Thousands of crusaders, only some of whom were effective from a military perspective, answered the call and traveled to the Middle East. The First Crusade (1096–1099) achieved the most measurable results of all the separate invasions, as well as unleashed a fair measure of overreach, a torrent of violence and extremism, and a level of barbarism not often seen in Western Civilization. It also resulted in the creation of several Crusader states in the Middle East, including the Kingdom of Jerusalem. 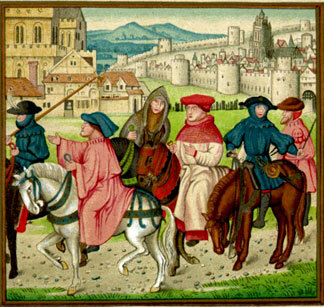 Additional Crusades continued in the 12th through the 15th centuries. These efforts transformed both the Middle East and Western Europe. Mayer makes this clear in his conclusion. The broad historical perception that this was one of the most negative eruptions of bigotry and violence ever perpetuated on other inhabitants of Eurasia is overblown, according to Madden. Certainly, there were excesses and negatives, but most of the people engaged in the Crusades did so for piety, charity, and devotion. Most did not engage in atrocities. That is not to minimize the evil committed in the name of Christendom, but it does cast this in a somewhat broader context than previously. Mayer emphasizes how the establishment of Crusader states in the Middle East served directly to transform many aspects of Medieval life. First, Christians ruled in the region for some two centuries and that beachhead brought closer together than ever before the cultures of two dynamically alternative lifestyles. This interchange proved critical to the development of both cultures and religions. Second, the Crusades also assured the integrity of Byzantium, thereby buttressing Christendom in Eastern Europe until the fall of Constantinople in 1453. Finally, Europe emerged from the Crusading experience energized for further expansion; in that case to the Americas and Asia. At a fundamental level, the Conquistadores from Spain that overran the Aztecs and the Incas were Crusaders every bit as much as those who captured Jerusalem in 1099. One could question if these are positive developments. The path from Crusades to the Middle East, the creation of bulwark against Islamic expansionism, and the establishment of European imperial entities in other parts of the world is not direct, but is certainly present. Preserving the history of space exploration faces unprecedented challenges and opportunities in this digital, big data era. New forms of electronic communication and data including oral histories and social media are changing the nature of historical records and increasing their ease of collection. Even as early generations of researchers, engineers, administrators and users retire, the number of countries, organizations, businesses, and other non-government actors involved in space is sharply expanding. 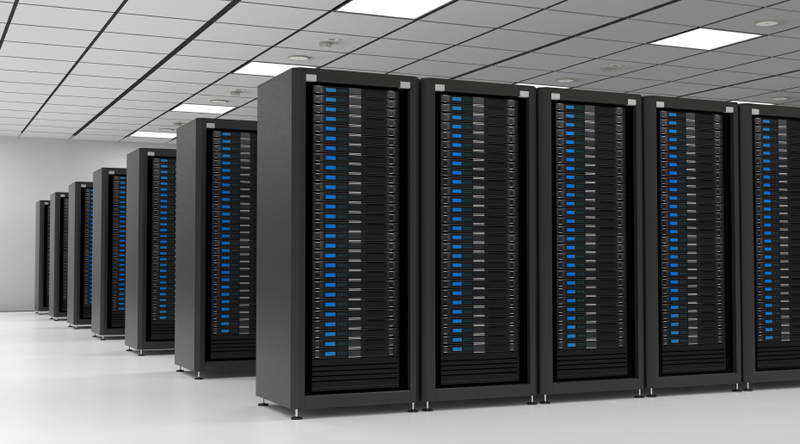 Relying on the National Archives and Records Administration (NARA) for U.S. government records management, while still essential, is increasingly inadequate. Furthermore, most of humanity experiences space exploration either as users (e.g., communications and weather) or as a source of imagination and enthusiasm. How do we document and archive the activities of hundreds of actors in space? How do we archive the experience of users? How do we archive imagination? The internet and widespread use of digital media have spurred tremendous popular interest in do-it-yourself oral history and other emerging methods for archiving among people not classically trained as historians, archivists, or records managers. Done well, these bottom-up approaches could greatly expand the availability of historical records — especially by groups, organizations, and individuals not fully captured by government archives. To examine critical issues in creating, collecting, preserving, and accessing space archives worldwide, this conference will bring the historical and archival communities together with space industry, records management, digital humanities, and library media management professionals. The conference will 1) explore data management strategies and toolboxes of exemplary best practices, 2) provide a variety of archival models for oral histories, digital, print, and less conventional collections management (such as software and artifacts), 3) disseminate these strategies and practices to space stakeholders, and 4) encourage underrepresented minorities and communities to create and archive their contributions to space history. While focused on space history, this NSF-funded conference aims to have a much larger impact by providing recommendations on policy and best practices. This conference addresses issues faced by all areas of STS and history – encouraging high quality “history from below,” using new electronic technologies, preserving a wild range of materials, and educating a new generation of stakeholders. The workshop will be conducted in English. The organizers can assist with travel and accommodation expenses for presenters. Please send a one-page abstract and one-page CV as one PDF file to toboldlypreserve@gmail.com by October 1, 2017. Decisions about acceptance will be made by November 1, 2017. For more information, contact Jonathan Coopersmith (j-coopersmith@tamu.edu), Angelina Callahan (angelina.callahan@nrl.navy.mil), or Greg Good (ggood@aip.org). I would welcome comments on this proposed roundtable session that we are undertaking for the American Historical Association annual meeting in Washington, D.C., in January 2018. Abstract: “Big History” has emerged in the last two decades as an academic discipline focusing historical attention on the very long time of the Big Bang to the present, rather than an approach that emphasizes history since the arrival of Homo sapien on Earth less than 200,000 years ago. Using a multidisciplinary approach, practitioners incorporate insights from geological epochs, from the Archean to the Holocene, that long predated the recent history of humans. To be successful in this approach requires the convergence of both the science and the humanities, with practitioners seeking to place humans in the context of this much larger history. Cosmology, astronomy, Earth science, geology, biology, and many other sciences as well as archaeology and anthropology are critical to the success of this approach to history. The session will examine the role of science in big history, treating it not as a static or monolithic entity, but as a contingent and changing set of principles and precepts. The current (21st century) incarnation of big history is not the only one possible. What would big history look like if written in earlier eras, for example, in 1894, 1858, or even 1542? How well will the current version of big history stand the test of time? As a teaching approach, historians have employed “Big History” successfully as a means of expanding the role of history on the campus. At its best, the approach offers a place for history in the larger base of knowledge available to students. There have been a few textbooks written that serve as exemplars of the “Big History” approach. These include a classic by historians David Christian and William H. McNeill, Maps of Time: An Introduction to Big History (University of California Press, 2011 2nd ed. ), as well as others such as Cynthia Stokes Brown, Big History: From the Big Bang to the Present (The New Press, 2012, 2nd ed.). As an approach informing research there is much less to show. • What role does (or might) “Big History” play in the curriculum of colleges and universities? Each participant will address these questions from their individual perspectives. here are my favorite horror movies. There’s only one problem, I don’t really like horror movies and I would be hard pressed to come up with a set of horror movies that I really like. I love comedy, however, and some of the following movies are hilarious. And I mean they are intentionally funny; I’m not thinking of some horror movies that are so inadvertently silly that they are funny like Plan 9 from Outer Space, a film on everyone’s list as one of the worst ever made. So here is my top ten list of terrific horror movies that are really funny. Not a few of them, I must add, are send-ups of classic horror films such as Dracula and Frankenstein. 10. Dracula: Dead and Loving It (1995): Leslie Nielson reinvented himself as a comedian in the 1980s after a career as a romantic lead by starring in a series of satirical films ranging from Airplane! (1980) to The Naked Gun (1988-1994) films. All of them are silly, using puns and parodies as their stock in trade. They are also truly funny. This film, directed by Mel Brooks, spoofs the original novel by Bram Stoker and a succession of films that have been Hollywood’s stock in trade since the 1930s. Favorite quote: “Children of the night…what a mess they make!”—Dracula after a bat poops on the stairs. 9. An American Werewolf in London (1981): A John Landis film, famous for his teen comedies, this movie stars David Naughton,Jenny Agutter, and Griffin Dunne. Two American students—Naughton and Dunne—were caught by werewolves while hiking in the Moors of Wales. One (Dunne) was killed outright, and keeps appearing as a ghost to warn the other, and Naughton is in the process of transforming into a werewolf for the rest of the film. A fair amount of comedy results from this, even as it ends badly for all. Favorite quote: “I am a victim of your carnivorous lunar activities.”—A victim of the werewolf. 8. The Fearless Vampire Killers, or Pardon Me, But Your Teeth Are in My Neck(1967): Roman Polanski made this outrageous film in the counterculture 1960s with a counterculture cast and a counterculture message. Two vampire hunters visit Transylvania to destroy vampires. Everything goes badly, hilarity ensues, and the hunters lose in the end. Favorite quote: “Oy vey, have you got the wrong vampire.”—A Jewish vampire when confronted with someone holding up a cross to fend him off. 7. Little Shop of Horrors (1986): This musical is one of the joys of recent comedic horror. Starring Rick Moranis as Seymour he finds an alien plant that grows into an insatiable carnivorous plant that proceeds to eat everyone in sight. The greatest scenes involve Steve Martin as a sadistic dentist and Bill Murray as a masochistic patient. This part is unbelievably over the top and belly laugh inanity. Favorite quote: “I’m just a mean green mother from outer space and I’m bad!”—Audrey II, the alien plant. 6. Shaun of the Dead (2004): This outrageous send-up of zombie movies stars Simon Pegg and Nick Frost as losers who take on zombies all over London and save their friends Shaun’s mother, and the day. Favorite quote: “Look, I don’t care what the telly says, all right? We *have* to get out of here. If we don’t they’ll tear us to pieces, and that is really going to exacerbate things for all of us.”—Shaun. 5. Zombieland (2009): Geeky Columbus, played by Jesse Eisenberg, can’t get laid until the zombie apocalypse begins and his partner is infected. He survives by living by a rigid set of rules, “double tap,” “cardiac”; you get the picture. He meets Woody Harrelson’s crazy Tallahassee, who lives to kill zombies and eat Twinkies. They meet two sisters who get the better of them repeatedly, kill several zombies, and eventually reach Los Angeles where they hole up in Bill Murray’s mansion. Bill Murray’s cameo is awesome. Favorite quote: “My mama always told me someday I’d be good at something. Who’d a guessed that something’d be zombie-killing?”—Tallahassee. 4. It’s The Great Pumpkin, Charlie Brown (1966): The third Peanuts television special, yes I understand this is not a movie, but how can I omit it from this list, this one introduced Snoopy versus the Red Baron and the story of a Halloween visitation not unlike Santa Claus and the Easter Bunny. It’s heartwarming and funny and still speaks to me as an adult almost fifty years after it first aired. Favorite quote: “Each year, the Great Pumpkin rises out of the pumpkin patch that he thinks is the most sincere. He’s gotta pick this one. He’s got to. I don’t see how a pumpkin patch can be more sincere than this one. You can look around and there’s not a sign of hypocrisy. Nothing but sincerity as far as the eye can see.”—Linus on the Great Pumpkin. 3. Young Frankenstein (1974): This movie was written and directed by the comedic genius, Mel Brooks, and starred Gene Wilder, Madeline Kahn, and Peter Boyle. A younger Frankenstein returns to Transylvania and takes up his grandfather’s work, creates a monster, and outrageous adventures. I recently rewatched it, andYoung Frankenstein still holds up really well after forty years. Favorite quote: “For what we are about to see next, we must enter quietly into the realm of genius.”—Frederick Frankenstein. 2. The Rocky Horror Picture Show (1975): Another musical, yes, but not anything like one from Rodgers and Hammerstein, or even Andrew Lloyd Webber. All I can say about it, “Let’s do the time warp again.” Favorite quote: “So come up to the lab and see what’s on the slab. I see you shiver with antici…pation.”—Dr. Frank-n-Furter (Tim Curry). 1. Ghostbusters (1984): What a terrific film; it represented a triumph for Bill Murray, Dan Ackroyd, and Harold Ramis, as well as an outstanding supporting cast of Sigourney Weaver, Rick Moranis, and Ernie Hudson. Kicked out of a university, the Ghostbusters go into business for themselves. They chase demons, ghosts, and other assorted paranormal phenomena in New York City until coming into contact with Gozer the Gozerian, aSumerian shape-shifting god of destruction. Of course they destroy it in the end. Favorite quote: “Personally, I liked the university. They gave us money and facilities, we didn’t have to produce anything! You’ve never been out of college! You don’t know what it’s like out there! I’ve *worked* in the private sector. They expect *results*.”—Ray Stantz (Dan Akroyd). 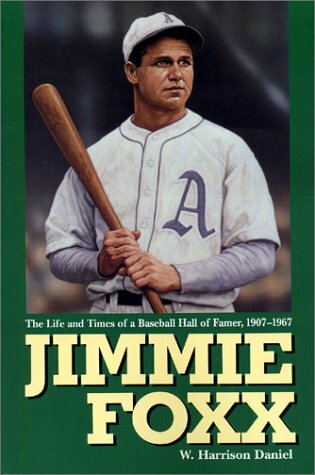 Jimmie Foxx: Baseball Hall of Famer, 1907-1967. By W. Harrison Daniel. Jefferson, NC: McFarland and Co., 1996. In the small town of Sudlersville, Maryland, on the Eastern Shore there is life-size statue of Jimmie Foxx, one of the greatest players in the history of major league baseball (MLB). I know because I visited it. There we see Fox depicted as a baseball hero, swinging away for one of his career 534 home runs. There is no question that he was good at baseball; his career statistics included a batting average of .325 with a OBP/SLG/OPS slash of 428/609/1.038 and a career RBI number of 1,922 to go along with 2,646 hits and his 534 home runs. He played in the MLB for the Philadelphia Athletics, Boston Red Sox, Chicago Cubs, and briefly with the Philadelphia Phillies between 1925 and 1945. His three MVP awards and two World Series championships with the Athletics demonstrated his excellence as a baseball player. He entered the National Baseball Hall of Fame on the first ballot. As good as he might have been on the diamond, Foxx was just that bad at life after baseball. His alcoholism ensured he could not hold a job, and was constantly maneuvering to return to baseball. Because of his legendary status as a player, Foxx even managed the Fort Wayne Daisies of the All-American Girls Professional Baseball League in 1953. Indeed, the Tom Hanks character in “A League of their Own” (1992) is based in no small measure on the life of Foxx, although you will not learn about that in this biography of the slugger. Foxx’s drinking problem led him to an early grave, before his 60th birthday. W. Harrison Daniel has written serviceable biography of one of the tragic figures in MLB history. It takes a strictly chronological approach, tells the story without any flair whatsoever, and captures the general triumph and tragedy of this figure. It does not probe too deeply, and never transcends the sources to offer more cosmic understandings of the subject. I would like to know, for instance, more about the interrelationships and dynamics of those great championship teams that one three pennants and two World Series for the Athletics. I would like to understand better how and why Foxx got into managing in the women’s league, as well as how his story affected the Hanks character in the famous movie mentioned above. 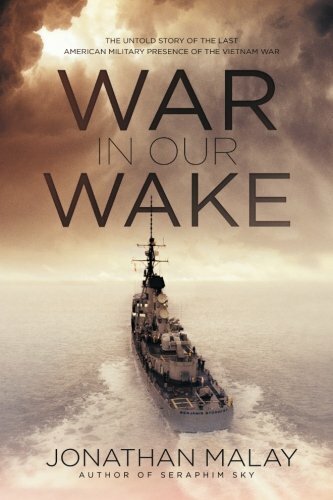 It is hard to see this book as much more than a workmanlike biography. I can say that it is solidly researched and clearly written. It tells the story in a matter of fact manner. Adequate those it is, I would have liked much more.